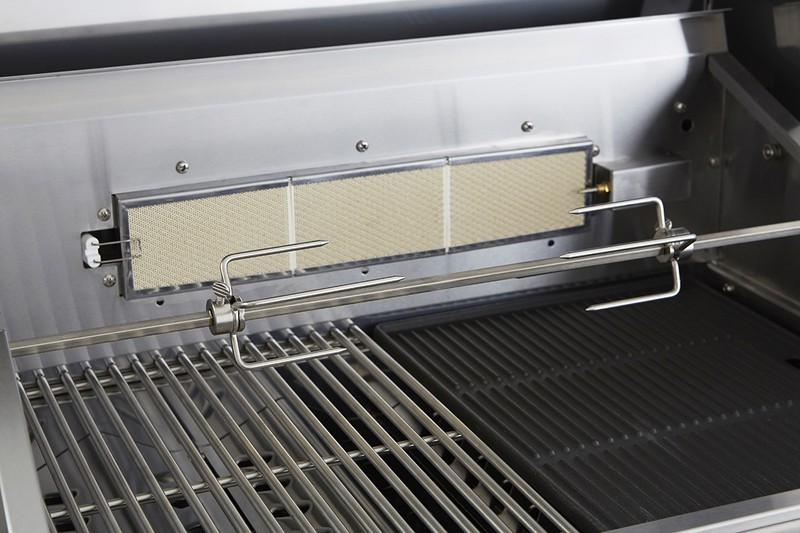 The Outback Signature 4 premium gas barbecue comes full assembled and is now an established favourite among discerning alfresco enthusiasts. 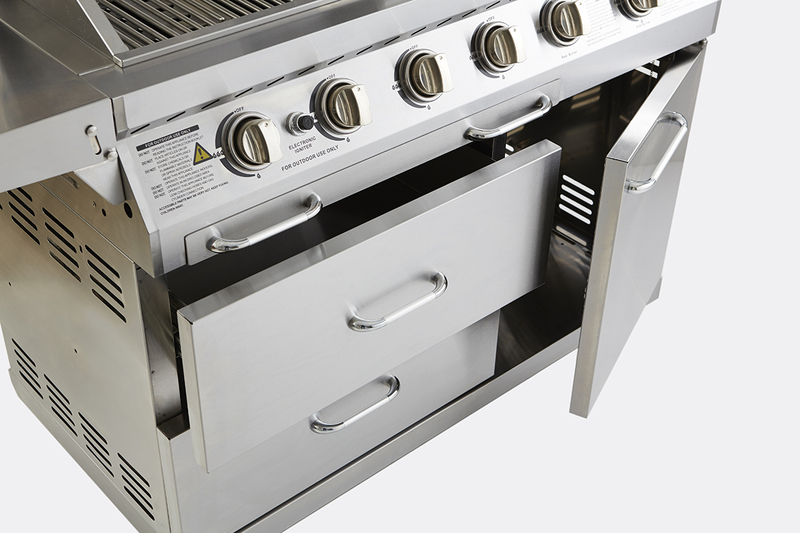 A top seller in an exclusive stainless steel series, it offers auto electronic ignition, temperature gauge, extensive grill, griddle and roasting areas alongside ample cabinet and drawer storage space, rear and side cast iron and brass burners, a ceramic infrared back burner and warming rack. 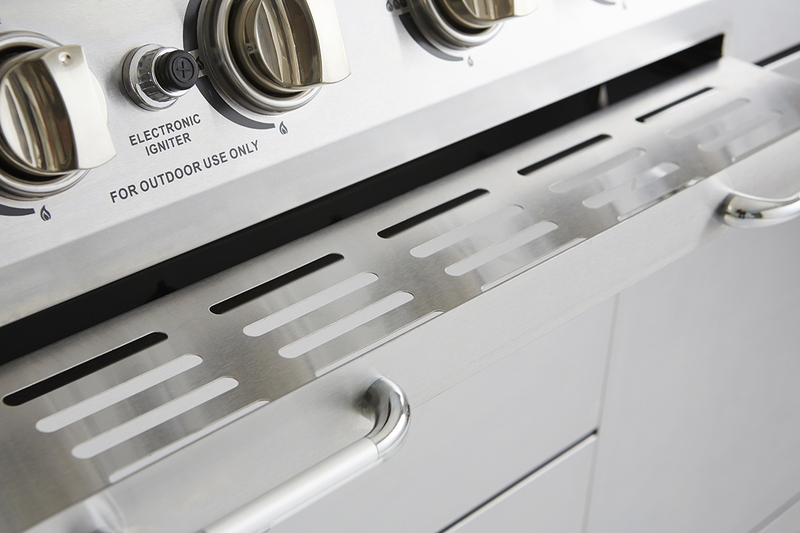 An electric powered rotisserie and weather proof cover are optional extras.